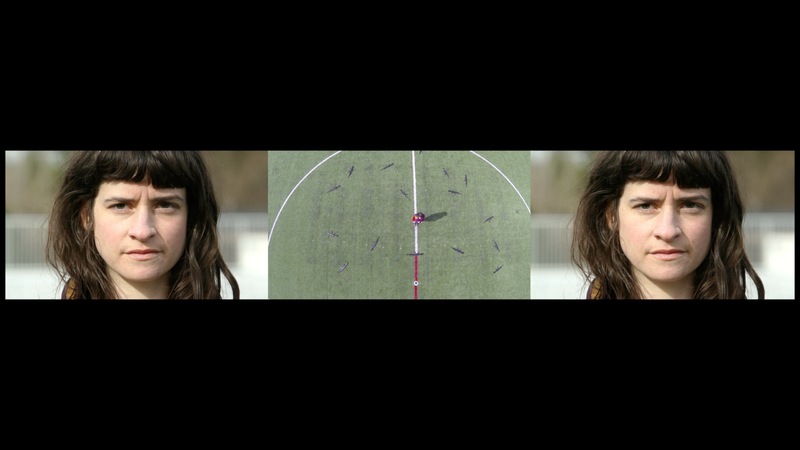 “Manual of Arms” is a video project of a choreographed performance where sixteen women perform a series of moves that recall the visual language of a band auxiliary or military drill routine. 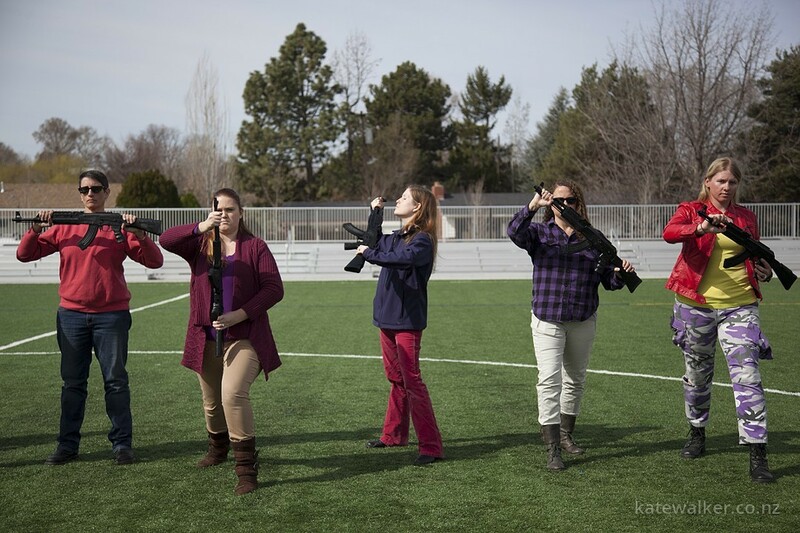 Instead of an expected ‘prop’, group members hold assault weapon style guns. Ambiguous and fictional, this piece pushes on imagery and themes that are familiar yet uneasy. The resulting clash of references creates discomfort for the viewer, who is not sure how to interpret the actions of the group. 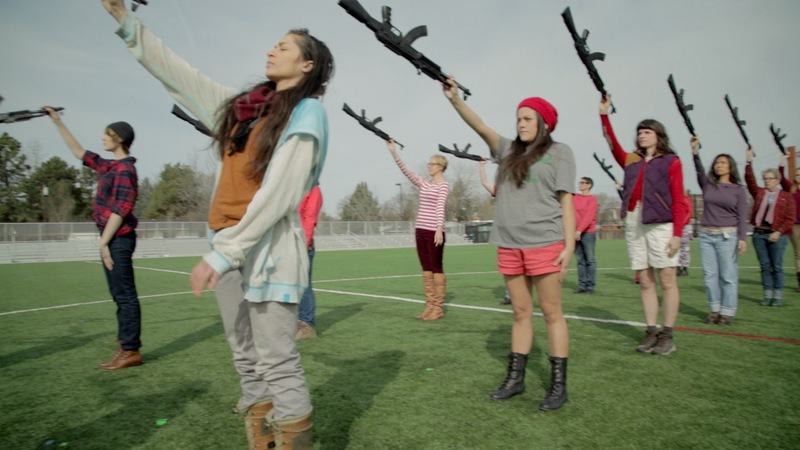 Questions are raised in the work about the nature of the rituals that surround North American sports culture (band auxiliary, honor guard etc), and the highly gendered roles that has developed in these; as well as the ubiquitous presence of guns in this culture. Kate Walker received her MFA from the University of Arizona in 2005 and is currently Assistant Professor, Interdisciplinary Studio at Boise State University. Walker’s work encompasses painting, drawing and digital video projects, which use narrative devices to explore contemporary social issues. Recent bodies of work focus on colonial histories, issues of gender and sexual identity. Using discontinuities of time and place created by travelling between the United States and New Zealand, her practice is based on looking through the lens of one culture at another in a constant switching of a cross-cultural gaze. Recent collaborative projects includes All Flocked Up a residency project at The Australian National University School of Art, Canberra Australia (2013) with ceramicist Caroline Earley. Hoop was a community based video project made in collaboration with the LGBT community in Nelson, New Zealand that documented a mass hula hoop event. Walker’s work has also been shown in Rome, Ireland, Cyprus, Bulgaria, Vancouver, Spain, Portugal, New Zealand, Australia as well as throughout the United States.